An upcoming game starring a naughty goose combines stealth gameplay and puzzle solving, allowing players to cause mischief and mayhem on a small farm. It’s silly fun that I never knew I wanted until I saw the trailer. Developed by Australian developer House House, makers of the bizarre Push Me, Pull You, an untitled game starring a goose will allow players to cause trouble as a flappy waterfowl and terrorize a hapless gardener. 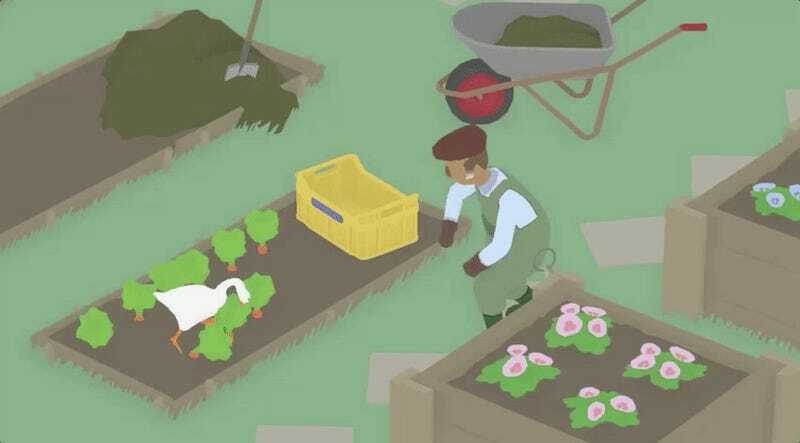 In alpha gameplay, the goose can be seen furiously honking as well as engaging in some trickery to splash the gardener with his own sprinkler. The game doesn’t have a playable demo or anything for the moment. It seems you’ll have to wait until it releases in 2018 to get your fill of tactical goose-pionage action.